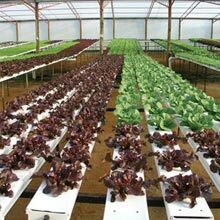 Hydroponics is increasing in popularity among commercial and hobby growers, and with good reason. With the right setup, hydroponic growing is a cost-effective method to grow high-quality produce with maximum yields. In the simplest terms, hydroponics is growing plants without soil. In the 19th century, it was discovered that soil is not essential for plant growth, as long as nutrients are present in the water supply. Since this discovery, hydroponic growing has evolved into different types, with many benefits over traditional soil-based cultivation. What are the general benefits of hydroponic growing? What are the different types of hydroponic growing? While there are many types of hydroponic production, the four most popular methods are drip, nutrient film technique (NFT), raft, and ebb and flow. All commonly utilize a nutrient reservoir and circulation system that supplies a nutrient solution either directly to, or near, the roots of each plant. This nutrient solution can be in a recirculating system to decrease waste and save on nutrient costs. 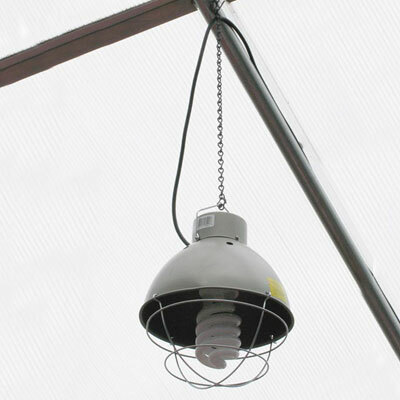 Drip: In a hydroponic drip system, each plant's roots are suspended in a medium, using rockwool cubes with perlite or clay pebbles, and the nutrient solution is dripped, commonly via emitters such as dripper stakes, onto the growing medium near the plant's base. 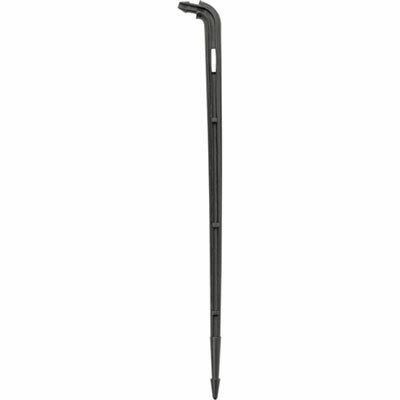 Advantages of drip hydroponics include increased water efficiency and proper root aeration. 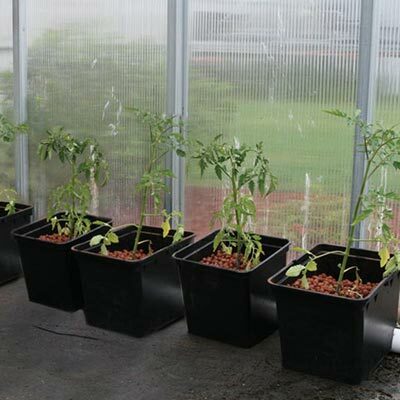 Drip systems can often be found in commercial growing applications for tomato, cucumber and pepper plants. 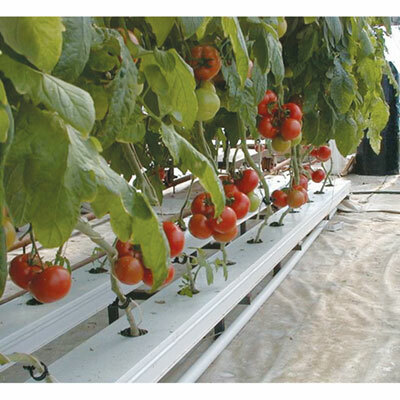 NFT: In NFT channel hydroponic systems, the roots are suspended in a channel and a shallow stream of nutrient solution is recirculated through the bottom of the channel. A thick root mass develops inside the channel and remains moist from the nutrient film. 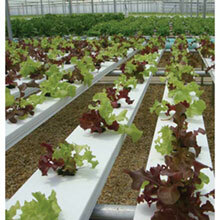 The main advantage of NFT hydroponics is the capability of producing very high yields in a minimal footprint of space. Water and nutrient waste is also minimized due to the recirculating system. 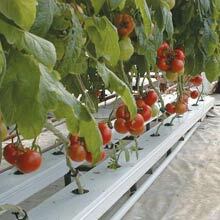 NFT systems are often chosen by commercial growers. Raft: In raft hydroponic systems, plants are held up by a foam raft that floats on a basin of nutrient-rich and aerated water. 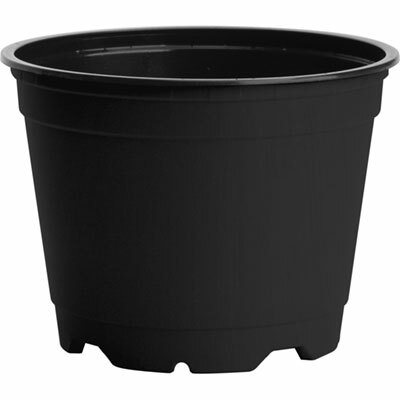 Plants' roots are commonly supported by net pots filled with clay pebbles and are completely submersed in the nutrient solution. 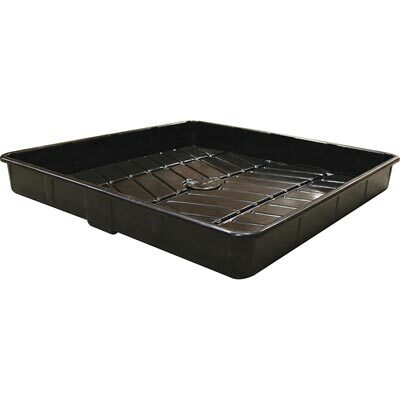 The simple design of raft hydroponic systems make them ideal for home or hobby enthusiasts. Ebb and flow: Also known as flood and drain, these systems feature a tray and nutrient reservoir combination. 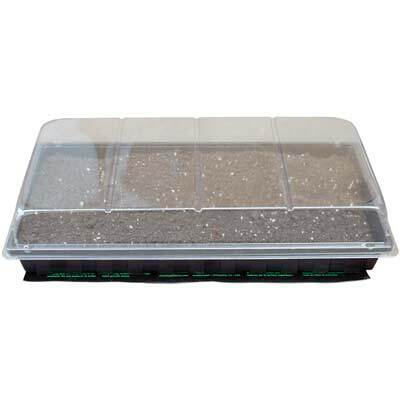 The tray can have a growing medium, such as clay pebbles or rockwool, in it and be planted directly. 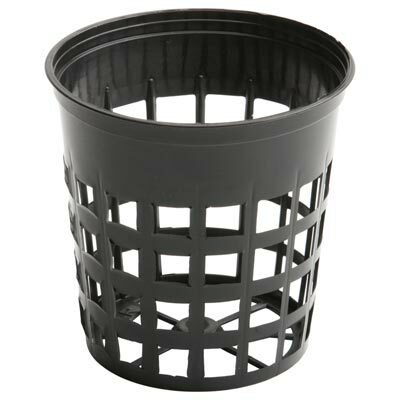 Another option is that plants are placed in containers, such as net pots, which sit inside the tray. The tray is flooded with the nutrient solution at regular intervals and the solution is allowed to drain back into the reservoir. 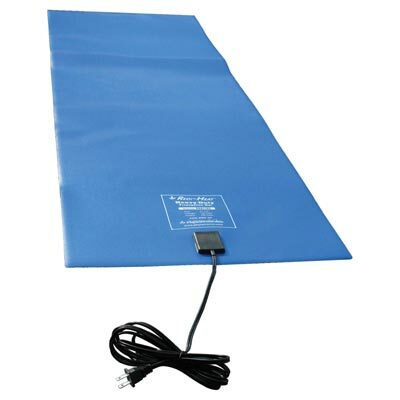 Advantages of ebb and flow hydroponics include the relatively low start-up cost and ease of use. What kinds of crops can I grow hydroponically? Almost any crop type can be grown hydroponically. The most common crops are tomatoes, lettuce and herbs, cucumbers and animal fodder. What types of nutrients are required for hydroponic cultivation? Many growers create their own hydroponic nutrient solutions based on the type of crop and its growth stage. Common nutrients that they include are calcium, magnesium, potassium, nitrate, sulfate and dihydrogen phosphate. We carry a line of Botanicare® nutrients for a variety of applications. How do I create my own hydroponic system? 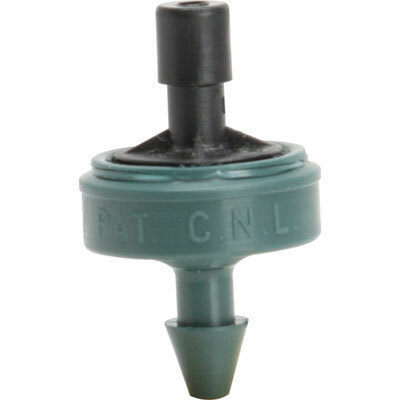 No matter what type of hydroponic system you choose, there are key components that are utilized in each type. 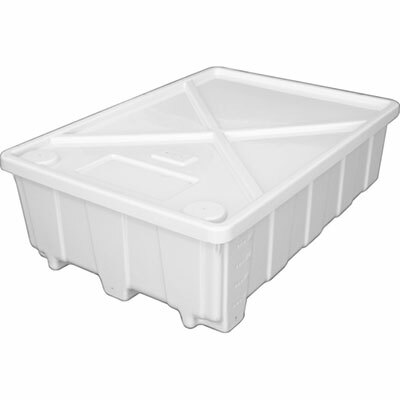 Nutrient reservoir: A container to hold the nutrient and water mixture is a necessity. This is commonly constructed from plastic, but can also be made of cement or glass. 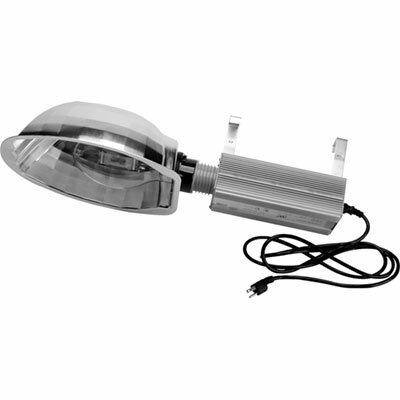 It is best that it is opaque to prevent algae growth. 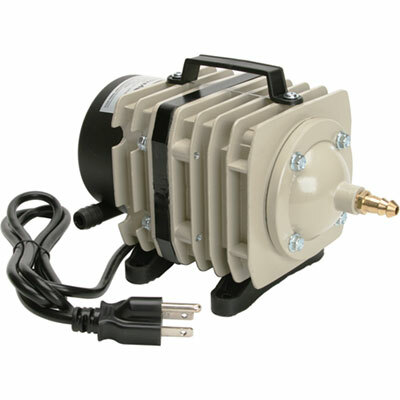 Pumps: A circulation pump is required to circulate the nutrients to the plants in NFT, drip, and ebb and flow systems. To ensure that the nutrient solution is properly oxygenated, an aeration pump is necessary in the nutrient reservoir of all system types. 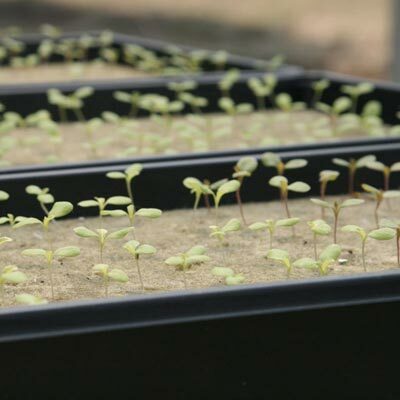 Growing media: The roots of each plant must be supported by a growing medium. Popular media include perlite, rockwool cubes, clay pebbles and coir (also known as coco peat). Our professional hydroponics consultant can help guide you in setting up your own commercial hydroponic system. We offer much of the plumbing, fittings and hardware needed. To get a quick start with an NFT system, our GT50-672 NFT Hydroponic Lettuce System includes everything needed to yield up to 3,744 heads of lettuce per year. Where can I set up my hydroponic system? Because the nutrient regimens of hydroponic systems are highly regulated, it is recommended that they be set up in a controlled environment, such as a greenhouse, high tunnel or even a basement or garage. Growing indoors provides protection from the elements, pests and better disease control. 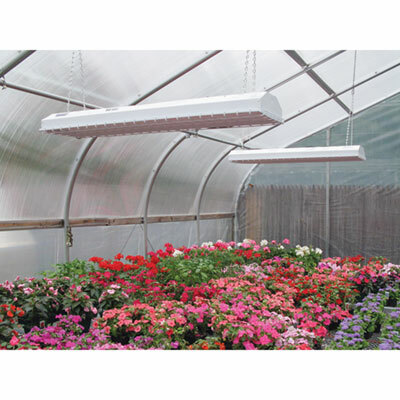 When growing indoors, supplementary lighting is often necessary to ensure that plants receive the proper amounts and uniform levels of light. How do I start growing in my hydroponic system? Regardless of the type of hydroponic system chosen, you will need to start your seeds. Seeds require only a few basic elements to germinate: clean containers, a growing medium, water, warmth and sometimes a light source. 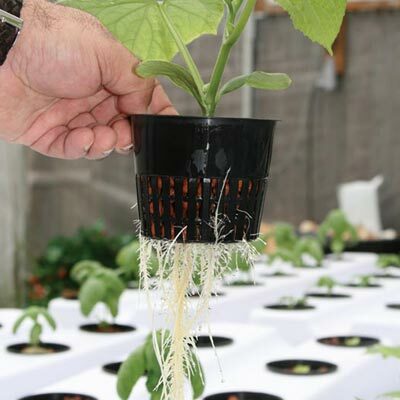 Using rockwool plug sheets as the growing medium facilitates easy transfer to net pots or NFT sytems once roots are properly developed. Visit our Seed-Starting Buyer's Guide for more information on starting plants from seed. Have questions about Hydroponics? Visit our Live Help page or Contact Us.